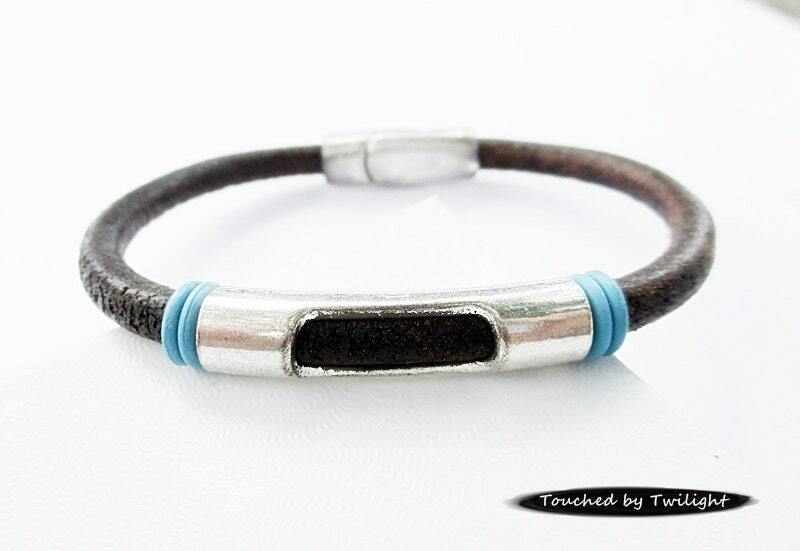 This simple, elegant, yet uniquely feminine leather bracelet is handcrafted from distressed dark brown 5mm round leather featuring an antique silver peek-a-boo slider in the center surrounded by colorful turquoise rubber rings. The closure is an antique silver magnetic clasp. The sizes shown are the inside diameter of the bracelet when closed. The clasp holds the bracelet securely closed so this bracelet can be worn either loosely as a bangle or as a bit more snug cuff-type bracelet. Your wrist size in generally measured just above your wrist bone. The size you order will depend upon the fit you want: snug, a bit looser, or bangle-style . . . I don't "stock" a lot of sizes. If you don't see the size you need, just let me know what you want. I can make any size necessary. A word about my leather . . . 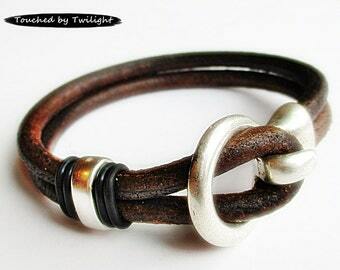 It is genuine leather that has been dyed and cut. The dye is lead and chromium free, and complies with all EPA regulations. As with most dyed leather, the dye is not 100% colorfast. And, as with all genuine leather, after repeated use it will begin to show wear. This only adds to the charm of the piece. 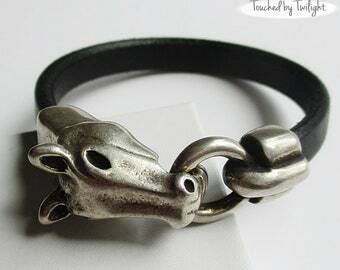 Bracelet is so cool! Thinking of ordering more for my sisters and nieces.